Thanks for the question...I just wear clear contacts (Acuvue Oasys) for my nearsightedness...the color is my actual eyes! I really enjoyed this post! Those boots seem perfect for the fall and winter season. I am thinking I may grab a pair during the next double points day. Your post came at the perfect time! Thank you so much! 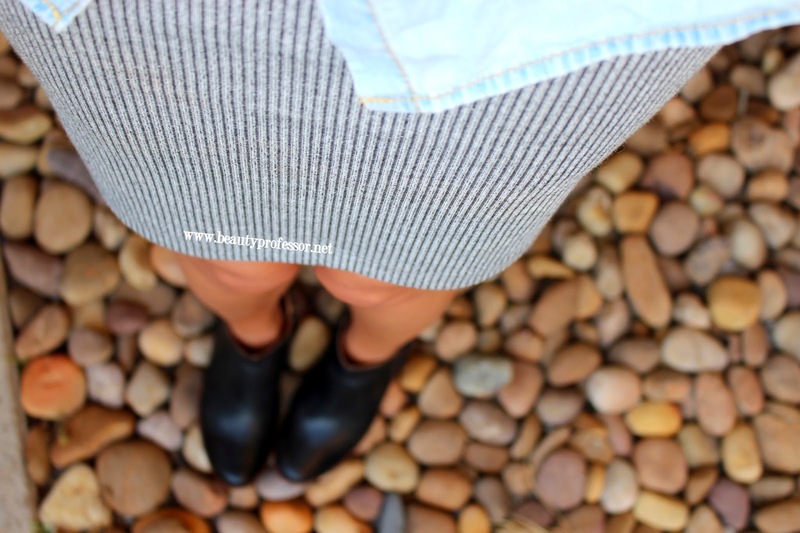 Yes, these boots were such a find and are perfect for the cooler months! I highly suggest getting them on sale while they still have plenty of inventory...so good! Definitely headed over to my local Nordstrom at lunchtime to try on these booties. Thanks for sharing this with us! Fantastic, Tatiana...I hope you love them as much as I do! Keep me posted! 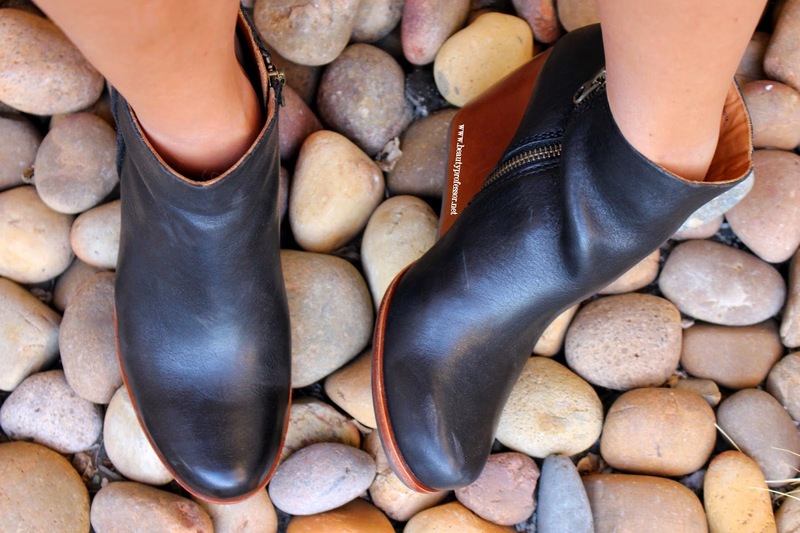 Luuuuurv these booties! thanks for sharing!!! That is marvelous to hear...I am so glad you find them comfortable, Jaimie! Thanks for letting me know! Please keep me posted on your thoughts on the Densiliss...I am still loving the formula. Thank you, thank you, thank you! I am so glad you enjoy my style posts...I am always apprehensive to deviate to far from beauty but it is fun sometimes ; ) Thrilled to hear about your foundation mix...I need to try that combination this weekend!! I absolutely love your sense of style. Please do more of these fashion posts! And could you please tell me where you got those denim shorts from? They're the perfect length and cut...a rare find! Thank you so much, MG! I truly appreciate the encouragement and will do my best to create more posts like this...I must be honest, taking full body pictures of myself is immensely difficult ; ) The shorts are old cut offs from college...I believe I got them at Forever 21 ages ago and they have progressively gotten a bit shorter each year but I still adore them! No new pair of shorts can trump an old, tried, tested and true pair! Wonderful post as always, BP! I'm especially loving the red LM lipstick!! You look positively radiant!! BTW that jumpsuit is TDF! OH I ALMOST FORGOT!! Did you see that Zelens Skincare has released a color line exclusively available at Barneys?! The Youth Glow foundation and Age Control foundations immediately made me think of both of our obsessions with foundation lol! They're skincare/foundation hybrids and the Age Control has something like 17 actives!! Must-try!!! Thank you for all of the kind words!! Ahhh...a new foundation?! I haven't yet tried the one from Zelens but am super interested in procuring a sample now...thanks for the heads up! Do please let me know your thoughts if you try it before I do!